When we see sales organizations move from a state of underperformance to a state of high growth, we’re consistently reminded that the sales manager has the most important job in the company. If you’re a CEO, sales director, sales VP, and/or otherwise lead a team of sales managers, you understand the outsized influence this group plays on the success of their teams and the company as a whole, dwarfing the role of individual salespeople, and even sales superstars. Yes, you need a great sales team, full of A players. Yes, you need great marketing to shout from the highest perch about your products and services. Yes, you need great organizational leadership. And yes, you need a good reason for anyone to do business with you. But it doesn’t mean a whole lot without sales. And sales will flourish or wither on the skills and mastery of sales management. So what’s the single most important job of the sales manager? Coaching. And coaching should account for about half of your managers’ time. Yep. Half. The sales manager is not an administrative function. 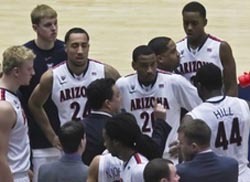 Watch how a basketball coach paces on the sidelines, calling out instructions or screaming at the refs, watching every player’s every move, gauging the resistance posed by the competition, and redirecting the team. That’s like sales management. It’s in the moment, real time, hand-to-hand, and total commitment. I know I’ll get pushback from the folks who spend most of their time on business and product strategy, organization and reorganization, planning, managing compensation, internal company issues, dealing with crises, and direct selling. Some or all of those tasks are vital to your success and all are good functions of sales management, just like watching the tapes and devising a training program for your basketball players. Keep doing them, but make coaching a larger part of your day. The coach watches how the job is getting done and provides expert advice on how to get even better. The coach turns a player with promise into a real contributor. A great coach can turn a star into a superstar. How many big stars have you seen fall off the radar after they move to a new team? How many salespeople have you hired that were superstars elsewhere but fell flat at your company. But for a precious few elite self-winding sales machines, often, their stardom was a function of the organization and the attention they received from management. Read Dave Kurlan's terrific article on the keys to making significant improvements in your team. Rather, these are all opportunities to advise, motivate, and hold people accountable – very important. And while one can argue that coaching is part of the discussion, they are not really getting at the heart of high-impact coaching. Managers often do a good job of discussing opportunities as they unfold but it is often ad hoc and momentary – good enough to provide direction, but not deep enough to change behavior. It looks a lot like coaching, but it’s not enough. Similarly, coaching sales managers means ensuring that these steps are taken, that administrative functions are minimized to what is truly important, and that a culture of coaching is fostered. One measure of a good salesperson is how well they find and close opportunities. One measure of a good sales manager is how well they develop their team. To carry this one step further in the organization, a sales VP should be concerned with the development of each salesperson reporting to the manager. This, and the corresponding growth of the organization, is the measure of the sales manager’s success. The manager makes sure he or she has the right team and coaches their people to close more business. The VP makes sure he or she has the right managers and coaches them to ensure they are developing their team. A culture of coaching and constant day-to-day improvement is the secret to continual record-setting growth. The other functions of the sales organization support this activity. Does your sales organization have the skills, DNA, aptitudes, will, and commitment to get to this level? Maybe it's time for a sales force evaluation. The quality, ability, and willingness of your sales team to sell depends on the activities of your sales managers. If you believe you you’re not hitting your full potential, look carefully at this position, and ask if your organization regards it with the importance it deserves as the most important job in the company.